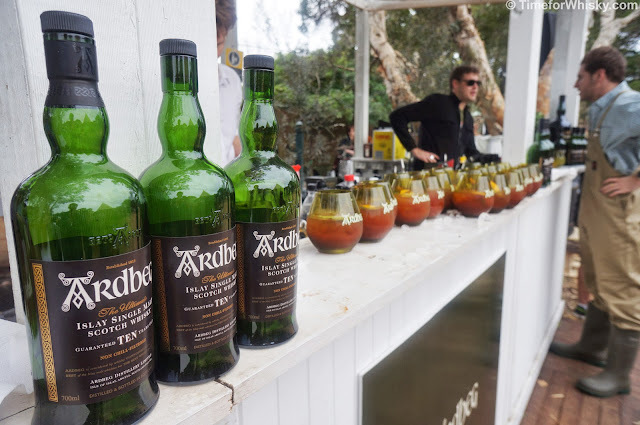 We've given a fair bit of coverage to Ardbeg Day over the years (having attended every single one between Steph, Hendy and myself), and for good reason - they're always one of the highlights of the whisky calendar. 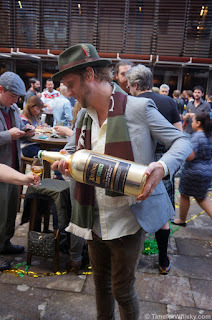 Starting in 2012, with an "Islalympics" theme (and a special-release bottling simply called "Ardbeg Day"), it was then onto the archaeologically-themed Ardbog Day (and the related Ardbog release) for 2013, then the soccer-themed Ardbeg Day 2014 (with its Green and Gold adorned Auriverdes release), and most recently the futuristic-themed Ardbeg Day 2015 (with Perpetuum celebrating 200 years of Ardbeg). So, after 4 fantastic events and 4 unique and enjoyable bottlings, it's fair to say we're a little excited about this year's Ardbeg Day...which is actually going to be Ardbeg Night. 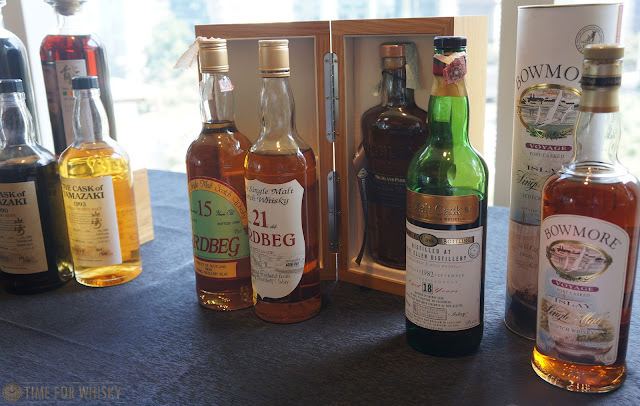 Ardbeg Night will be held on Saturday 28th May in Sydney, and will recall the "shadowy history of Ardbeg’s homeland", remembering the substantial illicit whisky trade that existed between Islay and the mainland in the 19th century. 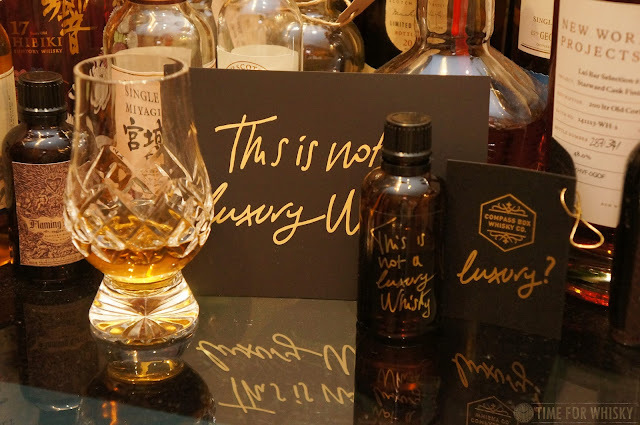 To celebrate, a special release known as "Dark Cove" has been released, in both regular guise (46.5% ABV, $169AUD) and Committee Release guise (55% ABV, $149.99AUD). Yes, at the moment the Committee Release is cheaper than the regular release (it's also available now, in Australia). Now...one thing we've noticed over the years is that Ardbeg Day in Sydney is getting increasingly popular. More people attending, more people wanting to attend. Ardbeg Day 2015 saw over 15,000 people attend 135 events globally last year, and we wouldn't be surprised if that increased this year. 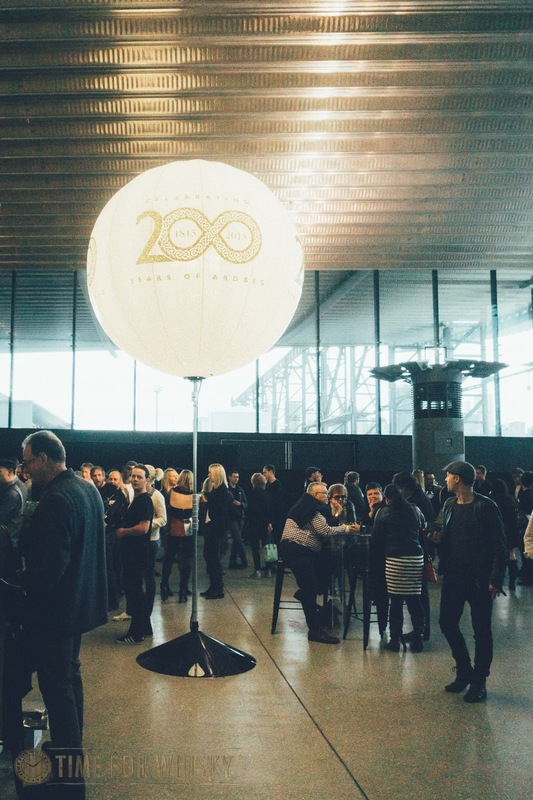 To address the popularity, Moet-Hennessy Australia have implemented a new system for tickets. 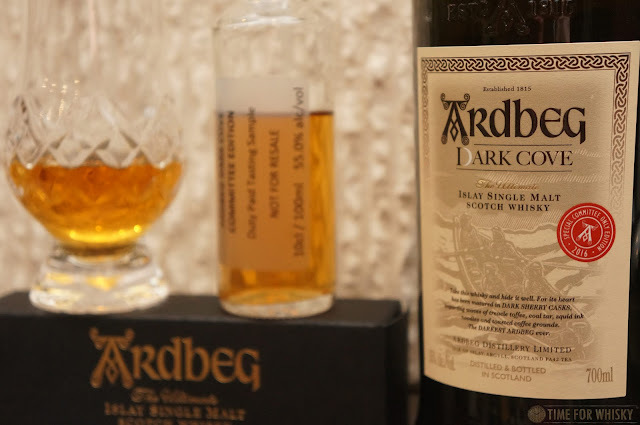 Basically, to be in with a chance of winning tickets, you need to buy a bottle of Ardbeg Dark Cove Committee Release (if you do miss out though, Ardbeg's embassies like Stitch Bar and World of Whisky will be hosting events too). 2. 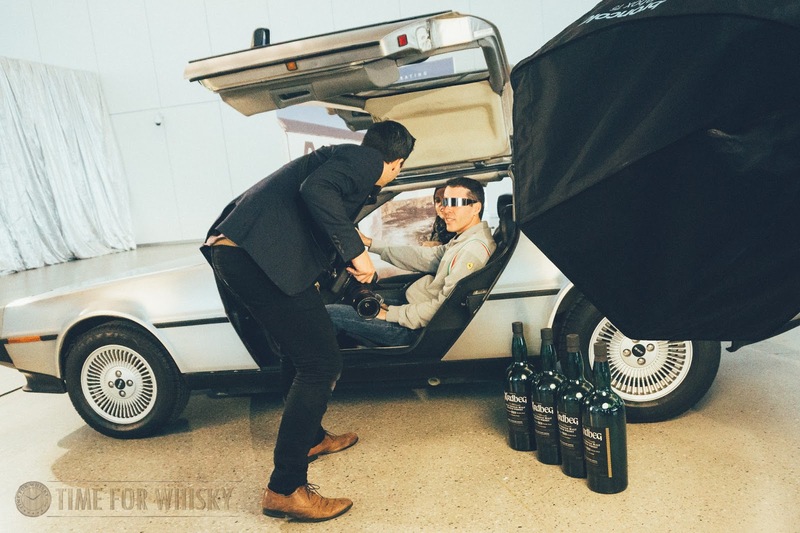 Purchase a bottle of Ardbeg Dark Cove Committee Release from 15 March 2016 via http://moet-hennessy-collection.com.au, which will place them into a ballot to attend Ardbeg Night 2016. Now Ardbeg Day Night might not be until May, but we've been lucky enough to get our hands on a sample of the 55% ABV Committee Release thanks to the lovely folks at EVH. See below for our thoughts. 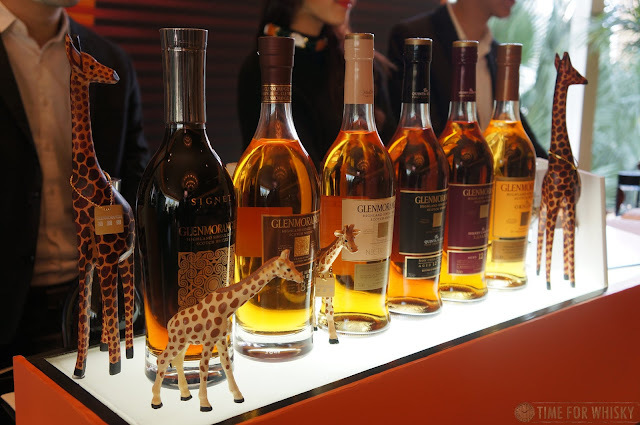 Palate: Big, rich and chewy. 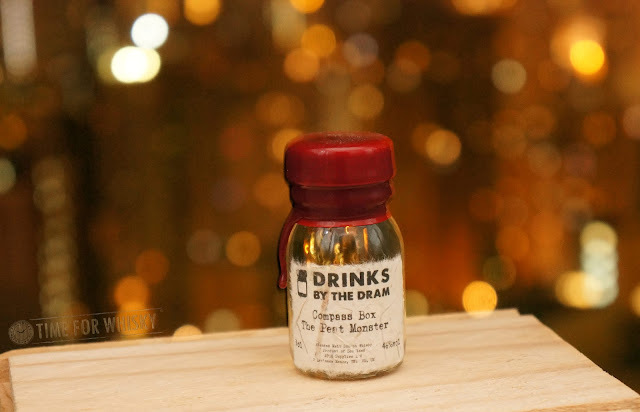 Peaty caramels (now there's an idea)! There's definite sherry influence, with red berries and a hint of mocha, but also a younger, fresher, sweeter character - licorice allsrts, musk sticks. Loads of coastal peat throughout. Rating (on my very non-scientific scale): 91/100. Another very enjoyable Ardbeg, one with a younger, stronger peat influence than some of the previous Ardbeg Day bottlings. The next "Private Edition" Glenmorangie has recently launched in Australia, following on from 2015's Tùsail and 2014's Companta. 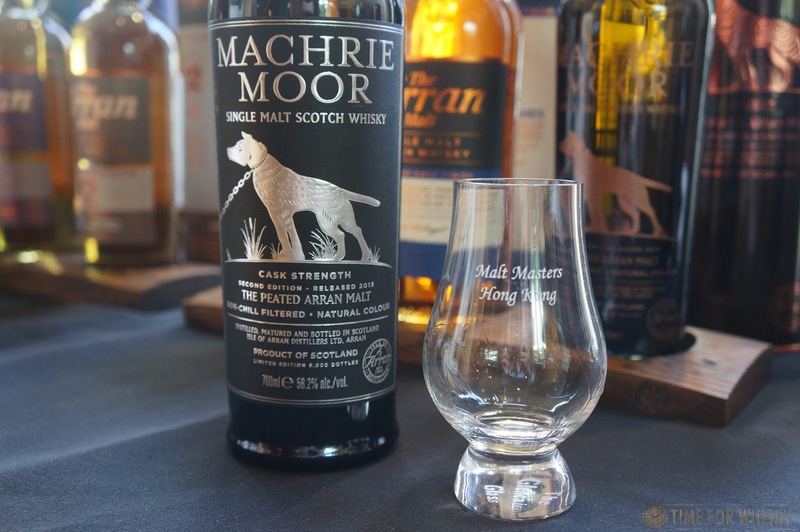 Named "Milsean" (pronounced "Meel-shawn"), the whisky (as with previous Private Editions) has been finished for several years in an alternative cask, only this time, those casks, Portuguese wine casks, were first deeply toasted. 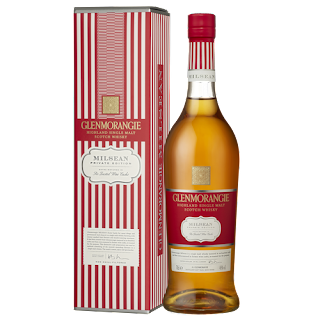 The result is a sweet and spicy character "reminiscent of the sugared delights in tall glass jars which once decked the shelves of every traditional confectioner’s store". If there was any doubt as to the sweet nature of the liquid, a quick look at the candy store-like packaging should dismiss any concerns! Milsean is available from the Moët Hennessy Collection now, for $150AUD. We're told the Hong Kong release is imminent. 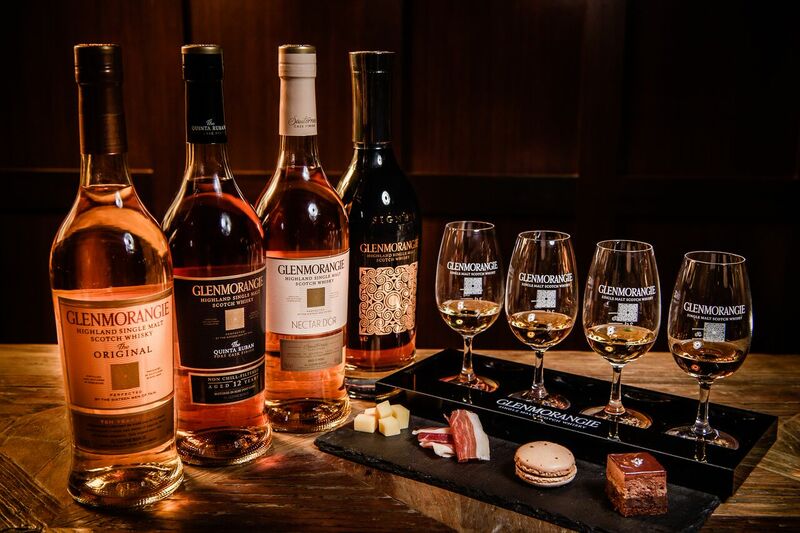 Speaking of sweet Glenmorangies, the distillery has partnered with 12 popular Hong Kong restaurants to introduce Sweet & Savory Pairing menus, from now until April 30th. 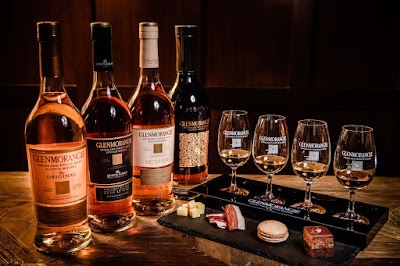 We already know Glenmorangie pairs well with various dishes from our lunch with Dr Bill last year, so we're sure these pairings, which include Nectar D’Or paired with Salted Caramel Macaroon, Quinta Ruban paired with Jamon Serrano Ham and Signet paired with Chocolate Craquelin, will be just as expertly matched. We love Diageo World Class here - the global cocktail competition which continues to inspire incredible, inventive cocktails year on year. 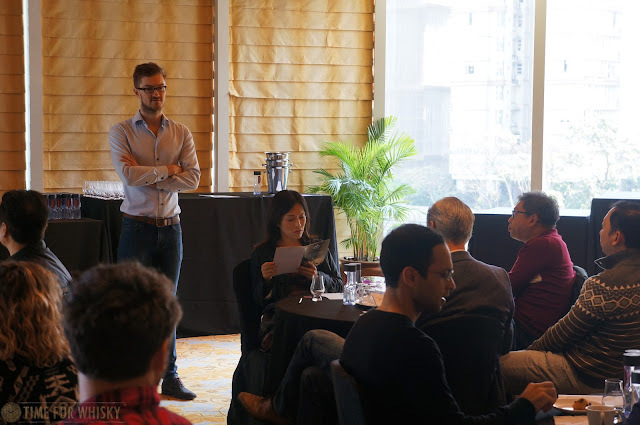 The Hong Kong round has kicked of for 2016, with bartenders given to 3rd April to construct a "daytime drinking" cocktail using Bulleit Bourbon or Rye (both of which we've loved since we visited Diageo Sydney back in 2013). 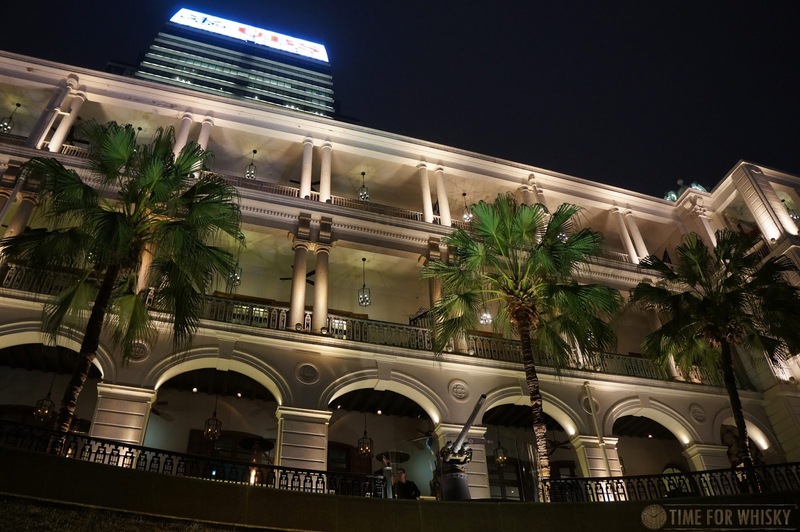 "The Hong Kong & Macau leg of this year’s competition will take place over three rounds, with the first commencing Monday 29th February until the 3rd April. Bartenders are asked to create a cocktail suitable for mid-afternoon consumption using Bulleit Bourbon or Bulleit Rye Whiskey. 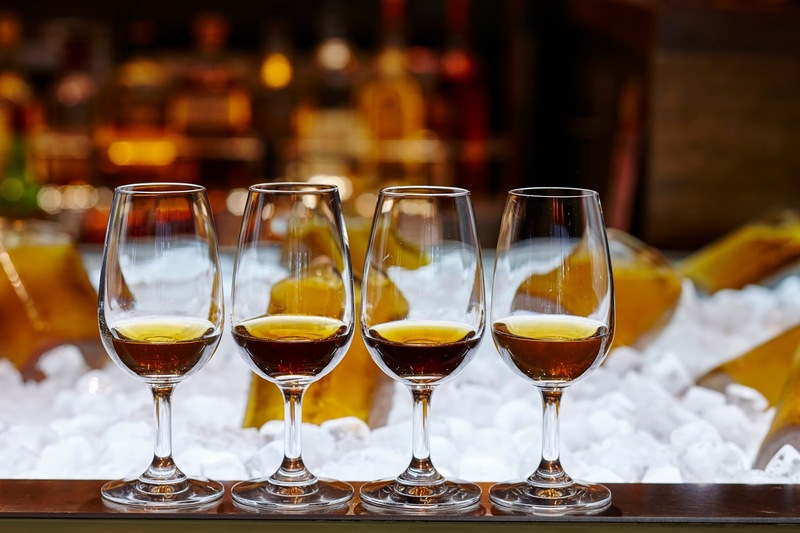 The challenge asks bartenders to consider factors such as the occasion the drink is served at, be it outdoors, at a wedding or a BBQ, and also that given the time of day, an appropriate alcoholic strength. Bartenders must submit their drink online at bit.ly/worldclasshk, post to social media and make it available in their bar." 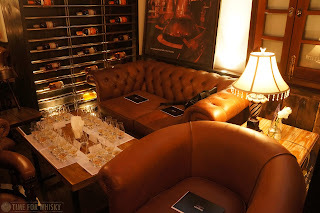 Sydney's Grain Bar (in the Four Seasons Hotel) might not have originally seemed like a "whisky bar" (though we did love it enough to include it in our "Top Sydney Bars" list right from the start), but recently it's slowly established itself as a serious contender. As well as holding several serious whisky events (like the Russell's Reserve launch last year or the Laphroaig Masterclass with John Campbell), the bar now boasts over 200 whiskies and has launched a "Flight of the Week" program, offering a different set of four 15ml whiskies for AU$40 each week, Monday to Sunday. 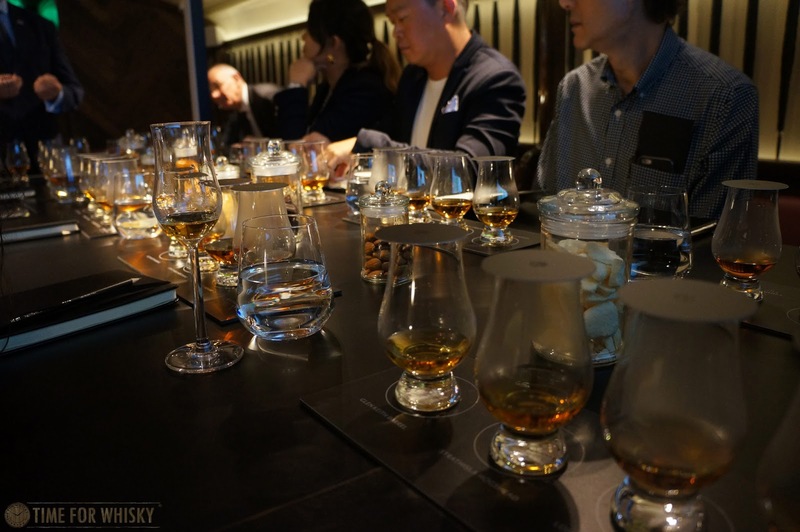 With a menu that spans the world (Scotland, Japan, Ireland, Canada, Wales, US, Sweden, South Africa, India and Taiwan), there should be a dram for everyone, from $10 for a Hakushu Distiller's Reserve, to $380AUD for an OB Port Ellen 9th Release 30 Year Old. 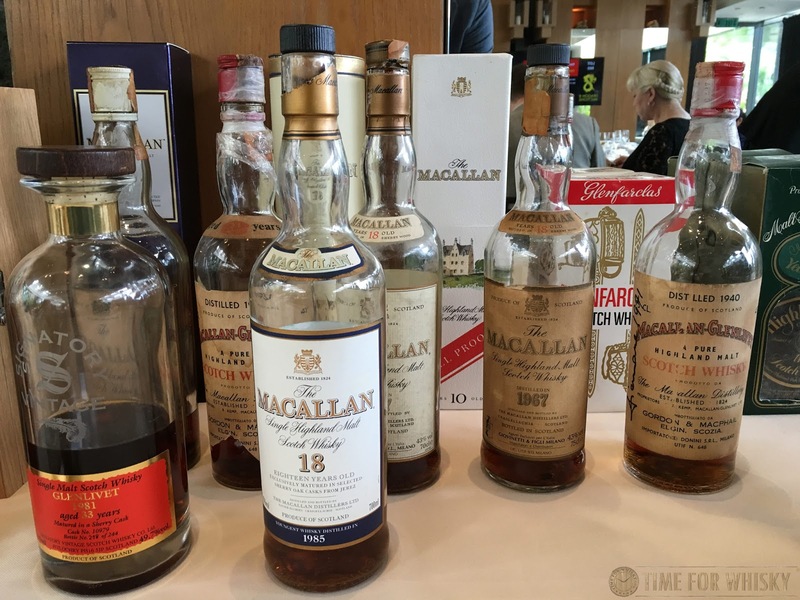 Following the 1959 Macallan 18yo tasted recently at the Dragon8 Hong Kong auction comes this much older (in both senses of the word) 1938 Macallan-Glenlivet 31yo - a pre-WW2 Macallan! 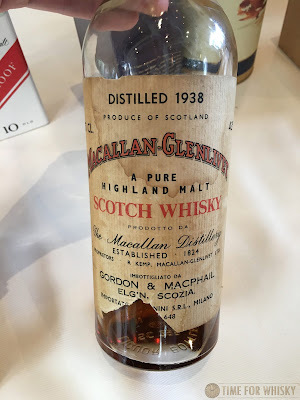 Being distilled in 1938 and bottled in 1969 by Gordon & Macphail (also for the Italian market) makes this whisky positively geriatric - distilled 78 years ago! 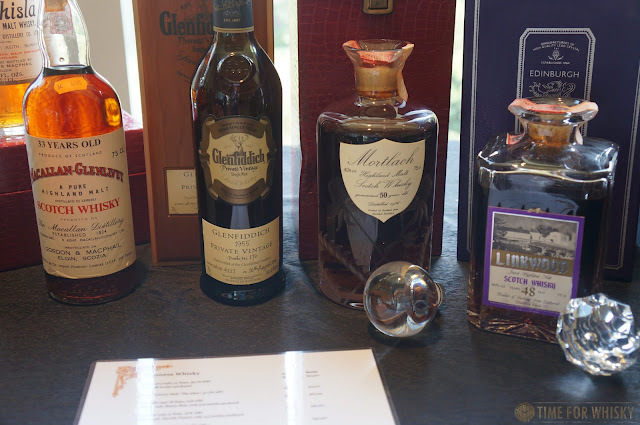 Not the earliest whisky we've tried here (having tried a mid-1930s White Horse last year at Singapore's Auld Alliance), but certainly the earliest bottle of single malt. Last time we saw this bottle at auction it sold for just over $2,000USD (approx $16k HKD), but it's fair to say it would probably command more than that today, especially in Macallan-crazy Hong Kong. Just look at the 1950 Fine & Rare we saw sell for $170k recently at auction and this 42yo Macallan bottled in 1969, for almost £10,000 (approx $110,000k). Now sure this is an indie bottling (like the aforementioned 42yo), and not one of the famous "Fine and Rare" series, but regardless, what an experience! Nose: Smooth, light. 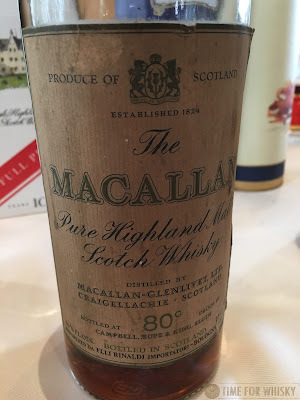 Plenty of sherry influence, but with fruitier undertones than you usually expect from Macallan - cranberries, lots of strawberries. Palate: Light. Quite a bit lighter than the colour would usually suggest. There's a citrusy fizziness, some strong peach characteristics, a hint of mocha orange and some toffee. On the whole though it feels just a little thin, which suggests there might be a little oxidation happening. It's not off-putting and we've tasted more heavily oxidised bottles, but it suggests this bottle is, to a small degree, a shadow of its former self. Finish: Shortish, soft and smooth. 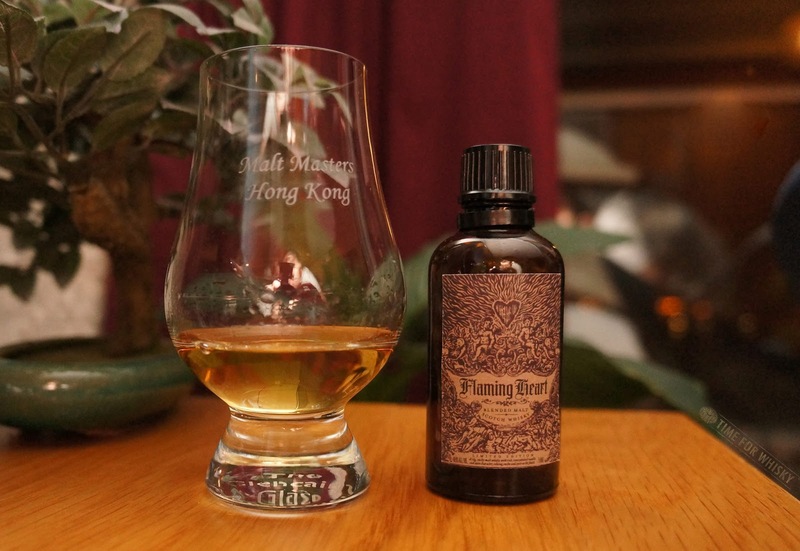 Inoffensive, pleasant and delicious, with lingering peach and toffee notes, although as with the palate, it seems like the finish may have been better when this bottle was younger. Rating (on my very non-scientific scale): 91/100. An incredible experience and an enjoyable whisky, but we can't help but wonder how it would have been as a fresh bottle. To be fair though, to make it to 78 years old and still have this much character is an impressive feat (we should be so lucky)! Hot on the heels of the inaugural Hong Kong Whisky Festival came the Malt Masters HK Whisky Festival, which celebrated its third year in Hong Kong last weekend. Re-locating from last year's event at PMQ, this year's festival saw an entire function floor of Conrad Hong Kong taken over by a mixture of booths, masterclass rooms, and a very special "Rare Whisky VIP Room", not to mention the pool-side whisky and cigar pairing classes. The festival ran over both Saturday and Sunday, but actually kicked off on Friday with a fantastic poolside party featuring whisky, "sensory" pairing (with the talented Ewan Henderson of Scotch Broth Events), cocktails, cigars and even a whisky highball matched with fairy floss! 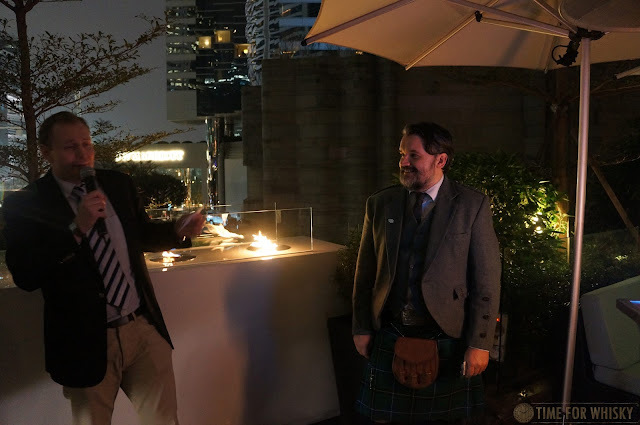 Ian McKerrow (Malt Masters founder) introduced the festival and explained that the focus this year would be on both education and world whiskies. A quick look at the masterclass schedule, and the distilleries represented certainly echoed that claim. 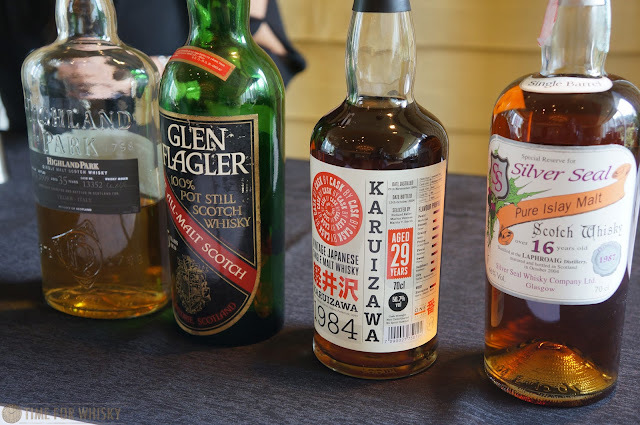 Whilst the selection of drams wasn't quite as big as the HKWF, it was certainly well curated, with Scotland, Ireland, America, Japan, Wales and Sweden all well-represented. Making good use of the entire hotel floor, the festival split booths up into a number of individual and naturally-lit function rooms keeping the event from ever feeling too busy, despite the fact that there were actually a lot of people in attendance. 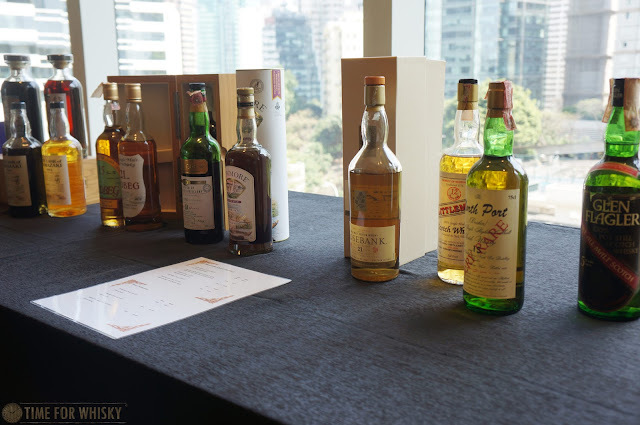 All drams were included in the entry price ($600-$800HKD) and attendees were given a clever smartcard for bottle purchases (clever, although perhaps someone dangerous given the smartly-discounted prices on offer). 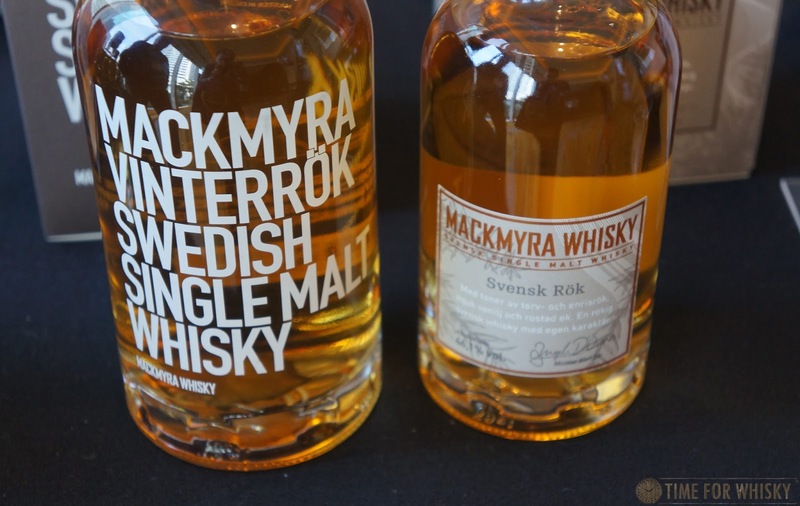 A few of the more interesting whiskies for us were the Mackmyra Vinterrok and Svensk Rök (both very popular amongst attendees), Wyoming Whisky (a sweet, easy-sipping Bourbon with no rye in the mashbill), and Arran, who had their usual huge selection on offer. 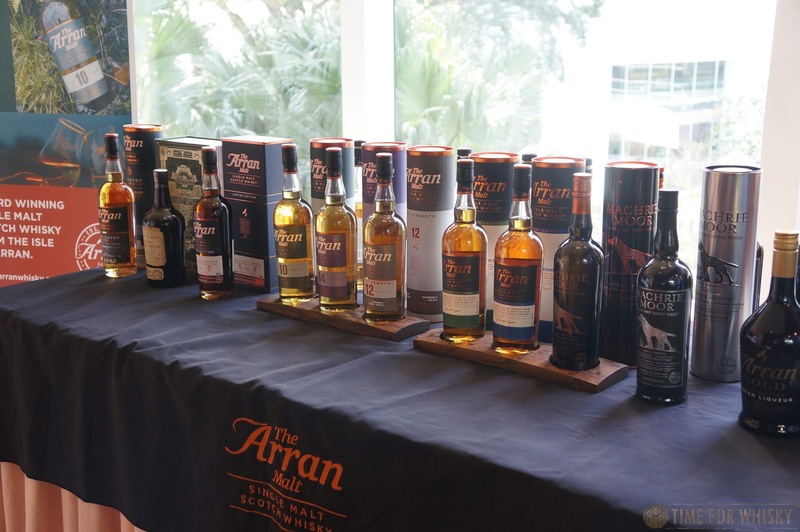 The masterclasses were many and varied - offering everything from molecular food pairing and whisky for beginners to masterclasses covering specific brands, and even a masterclass on whisky investing. 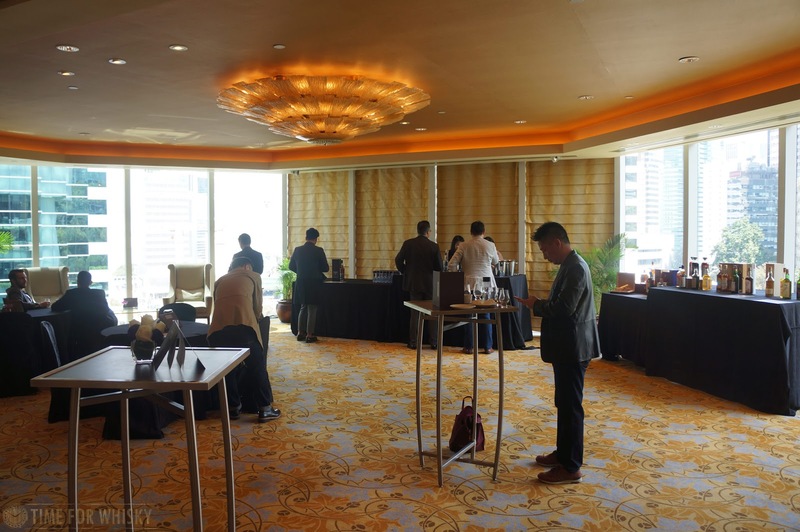 The variety was clearly a hit with the crowd, with attendees constantly shuffling back and forth between classes and the booths. For next year's festival we may even consider attending both days - one to focus on the masterclasses, the other to focus on the rest of the festival. 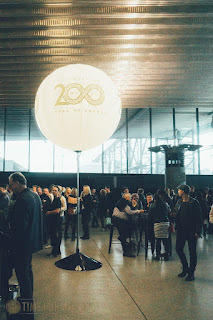 One theme that ran through the day was "fun" - everyone we spoke to, everywhere you looked, people were having fun, catching up with old friends, or making new ones. 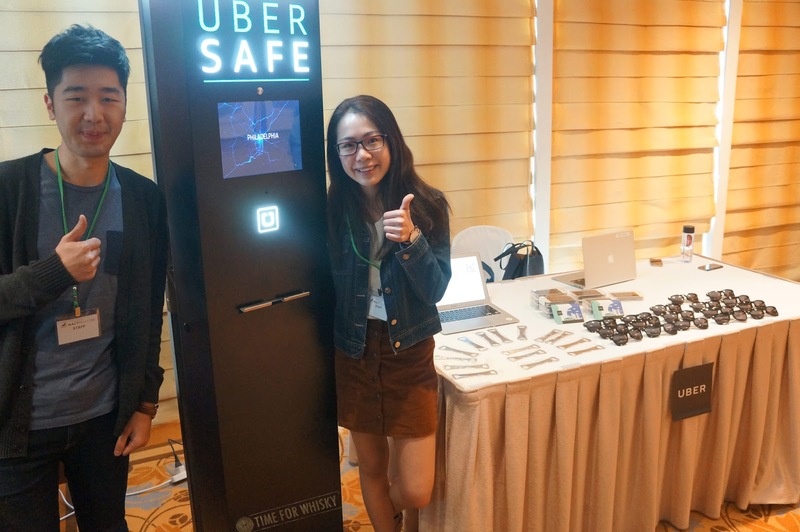 Adding to the fun (in a responsible manner) was an Uber breathalyser called "Uber Safe". It was the first time we'd seen one of these at a whisky festival, but we'd like to see more! Even if some people (most?) used it as a form of competition amongst their mates, it still did a good job of reminding people how quickly their blood alcohol level can rise at events like these, and to never drive afterwards. The freebies on offer from Uber (battery packs, sunglasses, bottle openers) were a nice addition too. 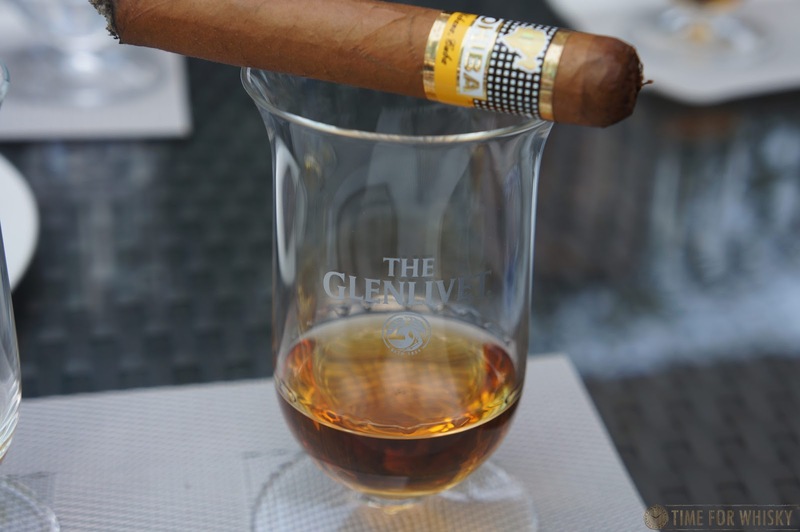 After a few incredible drams, and a chat to David Robertson (former master distiller of The Macallan, founder of the Rare Whisky 101 and great bloke), who had some interesting insights into the world of investing, the rare whisky market, and the proliferation of fake whisky bottles, it was time to head out to the pool for our Cohiba & Glenlivet pairing masterclass. With the sun shining and the temperature a beautiful low to mid 20s, the class was the perfect way to wind down our time at the festival. 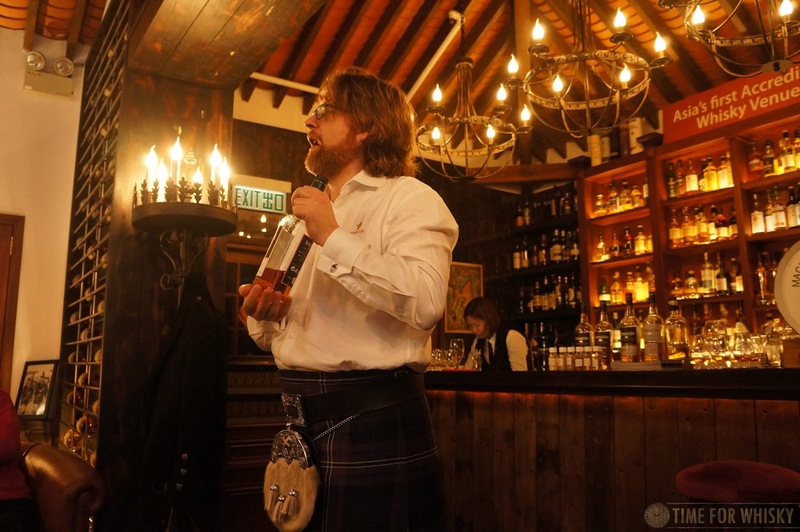 Presented by Darren Hosie of Pernod Ricard, the class offered no pretension, no complicated tastings, and plenty of fun. A selection of 5 drams (Glenlivet 12 Excellence, 15, 18, Nadurra and New Make Spirit), a cigar (Cohiba Siglo II), a brief introduction into the whisky, and that was it - time for guests to enjoy the whisky, decide on their own favourite pairing, and chat with fellow whisky lovers. Perfect - just like our whole day at the festival really. 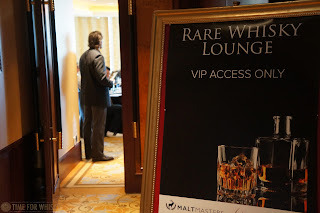 TimeforWhisky.com would like to thank Malt Masters HK for the invitation to the party, festival and Rare Whisky VIP Room. 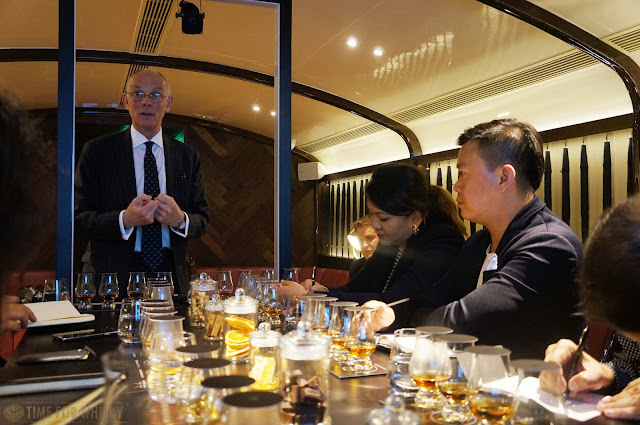 Back in December last year we attended the Hong Kong launch of Chivas Regal "The Icon", which launched in Australia and Hong Kong last year and is shortly to launch in the UK. The launch event was incredible, but the real treat came after lunch, when ourselves and 7 lucky other individuals were treated to a tasting of The Icon with Master Blender Colin Scott. 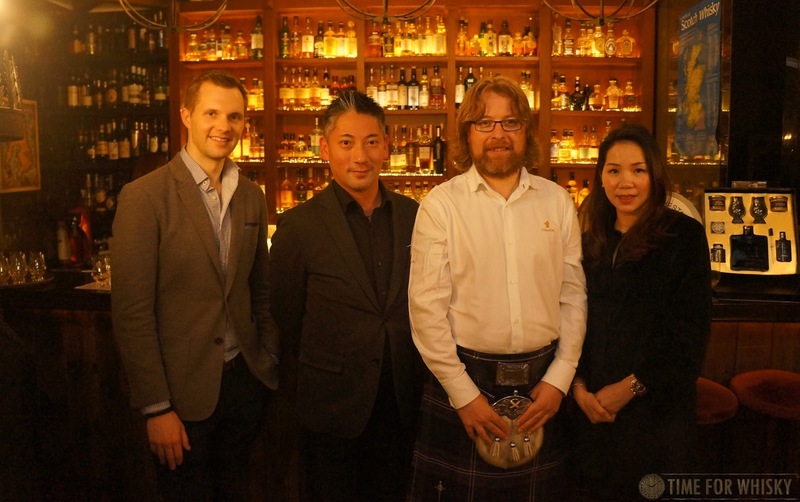 Held in one of Foxglove's many stunning private rooms, the tasting was opened by Stephen Notman (IWSC judge and founder of Whisky Live Shanghai / Taipei and "Whisky L") who took us back 100 years, describing the origins of Scotch whisky as we know it (and the 3 year minimum aging rule set by the Immature Spirits Act), the rise of Scotch throughout the 1900s, and the more recent rise of "ultra premium blends". 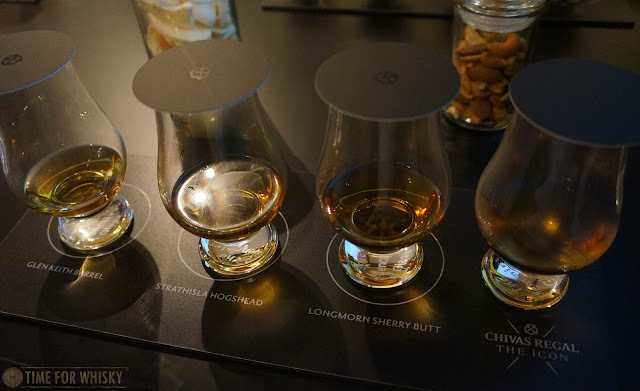 "A blend is looking at a person, a single malt is looking at a distillery"
It was then time to dive into our tasting of "The Icon", but not before the rare opportunity to taste three unique single cask expressions of Strathisla, Glen Keith and Longmorn - malt whiskies which all help to make up Chivas Regal blends. Nose: A real "summertime whisky". Passionfruit, vanilla cream. Lots of peaches, some strawberry, and even some pine needles. Palate: Oranges, nuttiness (peanuts). Slight hint of smoke. More peaches. Orange taffy. 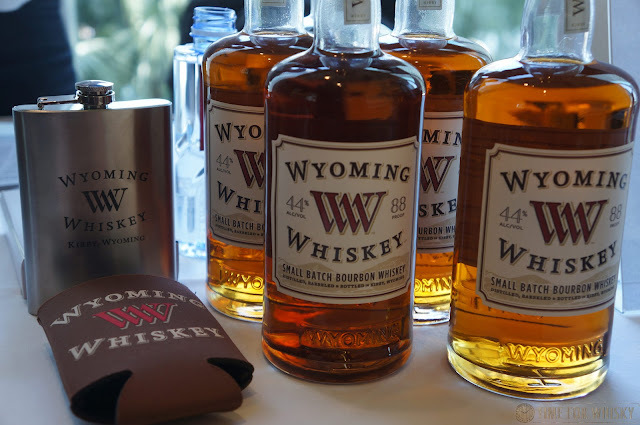 Very smooth and easy drinking (being cut to 40% no doubt helps). Finish: Long, whole oranges, with hints of asparagus at the very end. Rating (on my very non-scientific scale): 91/100. 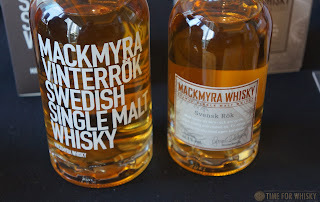 A fairly complex yet easy drinking, light whisky. Nose: There are plenty of traditional sherry notes here - rich christmas pudding, cherries, raisins, but there's a freshness too. Fresh laundry(! ), with some strawberry hubba bubba. 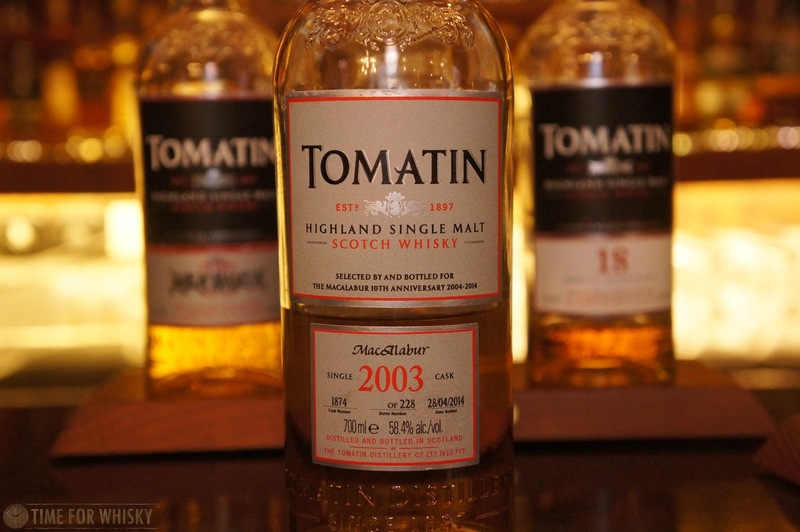 Palate: Honey, noticeable oak, spice, cinnamon, Sriracha sauce. A few drops of water adds a slightly fruitier, strawberry note. Finish: Earthy and slightly metallic. Rating (on my very non-scientific scale): 90/100. 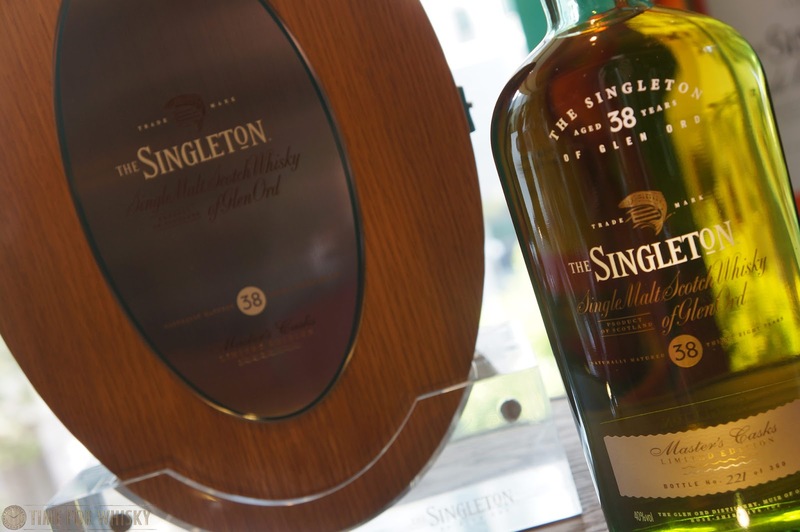 Nice but in comparison to the amazing 20-30 year old Oloroso-matured whiskies we've tried before, it didn't quite reach the same lofty heights. Nose: Citrus zest - orange peel, and almonds. 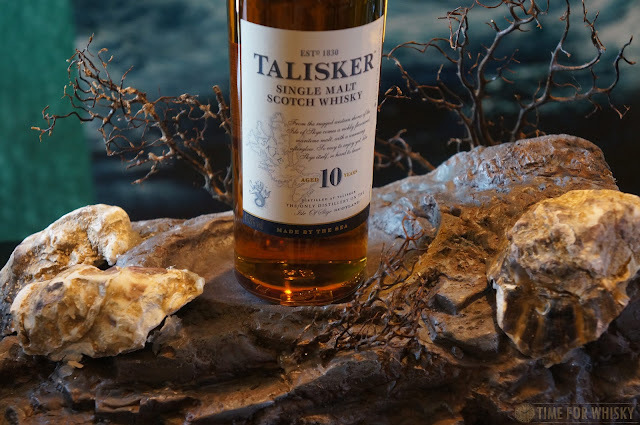 Palate: Banana, toffee, caramel and passionfruit. Finish: Long, tropical, creamy. Passionfruit and whipped cream. Rating (on my very non-scientific scale): 92/100. 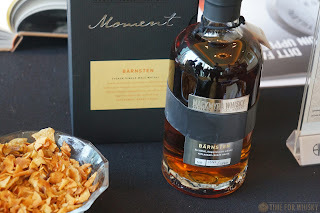 A real dessert whisky. Nose: Stewed pairs, toffee, oranges. Terry's Chocolate orange (loads of it). A honey sweetness. 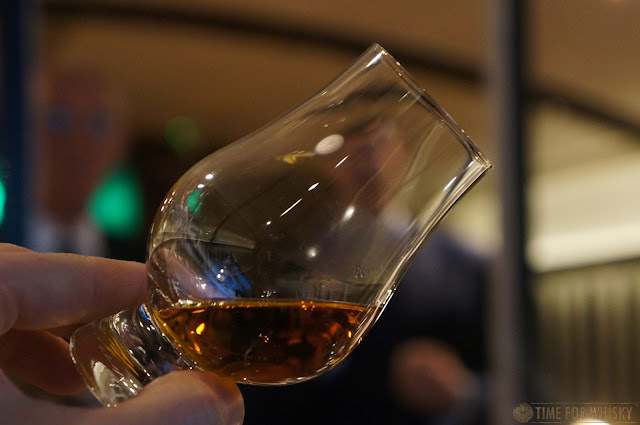 Palate: Quite sweet, velvety, creamy. Smooth swiss milk chocolate, with a slight nuttiness. A hint of confectionary too - boiled lollies, Allen's Fantales. Finish: Long and sweet, sherberty, with residual hints of milk chocolate. Rating (on my very non-scientific scale): 91/100. Not quite what I'd expected at first - much sweeter. 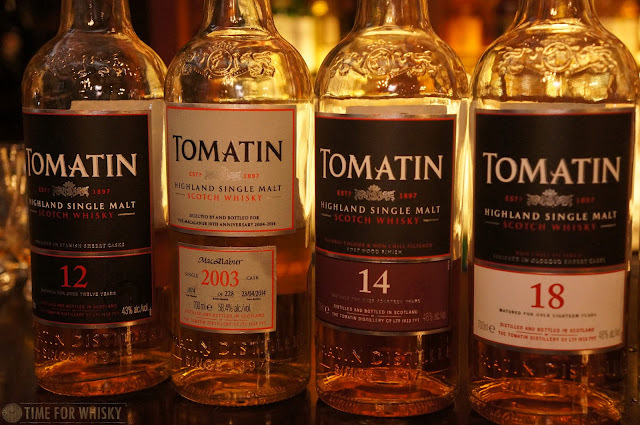 There's complexity here, sure, and it's an extremely enjoyable dram, but out of this lineup, I'd take another glass of that Strathisla first. I'd love to try the The Icon at a higher ABV though, perhaps 46 or 48%.